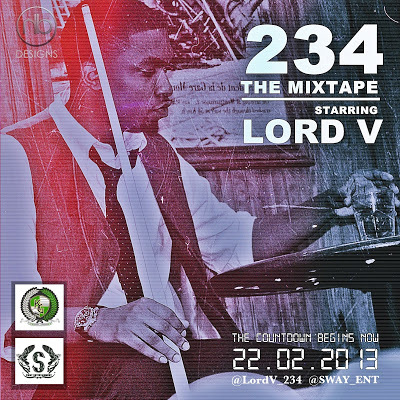 Lord Vino aka Lord V, signed to Sway Entertainment (@Sway_Ent), is a Nigerian rapper, songwriter & composer. His music transitions between Hip-Hop & New school Naija Pop. 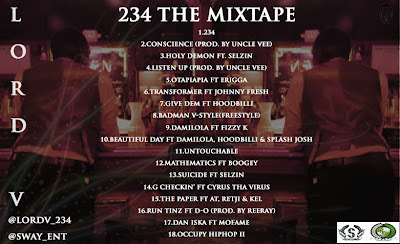 Born and raised in J Town (Jos, Nigeria), he was influenced by the hip-hop culture that the city is known for today. Later exposure to other parts of the country, and world music helped to define and diversify his sound. Formerly known as Vino, he earned the title “Lord” in his university days from fellow rappers, who he engaged in lyrical battles with. His major influences include: Jay-Z, Eldee, Nas, Fabolous, Jadakiss, Mode 9 and Jos’ M.I. 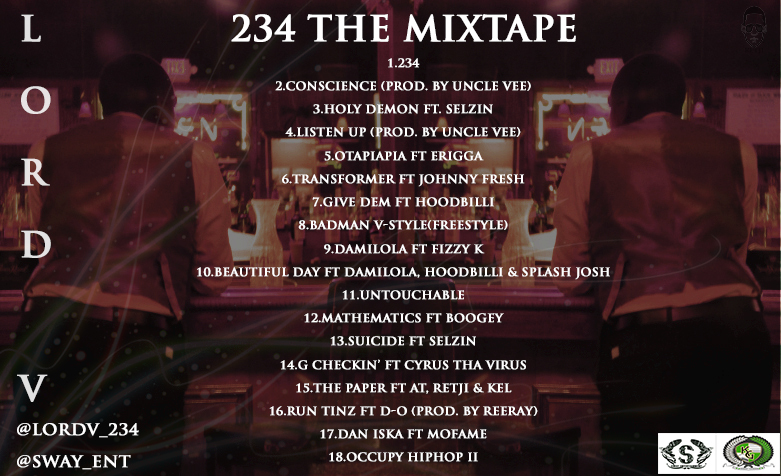 The mixtape titled 234, features a host of artists including (but not limited to) Erigga, Boogey, Cyrus, Real Retji, Kel, Splash Josh and productions from Kid Konnect, Uncle Vee & and several others.